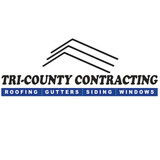 Tri-County Contracting is a family-owned and operated company of professional tradesman who are passionate about exterior remodeling. Several decades ago, our founder Frank Zeka started the company out of his home. Today, we have nearly 50 employees led by our team of family members. Southeastern Wisconsin’s residential roofing, siding and gutter expert, L.H. 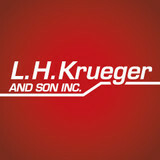 Krueger and Son is a family owned and operated company founded in 1981. Our goal is to ensure a great experience for our customers and our professional team of estimators and installers have the experience and integrity to get the job done right the first time. 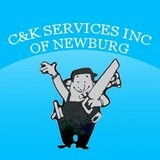 C&K Services, Inc. of Newburg has been in business since 1978. The founders Bill Chesak Sr. and Paul Krueger, started like most businesses, working out of a small garage. The business included siding, roofing, seamless aluminum gutters and window installations. As the business continued to grow, in 1981 they expanded the storage area and moved into a barn. More employees and family members joined the rapidly growing company. Today C&K Services, Inc. of Newburg is owned and operated by Bill Chesak Jr. who came on board a year after the business was started. Today the company has warehouses totaling 25,000 sq. feet, fully stocked with high quality inventory. C&K Services, Inc. of Newburg now has about 40 experienced employees including the office and sales staff, a full time mechanic, warehouse maintenance, roofers, gutter and siding installers along with window and door installers. All of which we are proud to say are certified in their own fields. Custom Installations is a decades old family owned and operated business in the Chicago area. Based in Lake Forest, IL, our company is one of the preeminent full service exterior remodeling companies in the Chicagoland area. Partnering with over 100 builders in the area, we specialize in everything from custom home installations to historical restorations to tract housing & production work. Considered one of the most knowledgeable & dependable exterior contracting firms in the Chicagoland area, our culture is built on and embodies integrity, knowledge, reputation, and relationships. Many of our foreman and crew members have been developing and advancing their craft with us for over 15 years. We are also certified with the leading manufacturers in the industry to ensure our customers receive the best products available. Un-compromised quality was important when we started the business nearly 50 years ago and still is to us today. Our team at Custom Installations looks forward to continuing our successful legacy by offering exceptional service at a great value to our neighbors in the Chicagoland area. Holda Construction is a family-owned home restoration and repair business that survives solely on positive referrals and happy customers. We confidently put our family name on the door to stand behind the honesty of our work and the quality of our craftsmanship. From start to finish, your project will receive personalized, knowledgeable, timely service from a licensed team that’s worked successfully together for over ten years. Green Renovations is a general contracting company located in Northern Illinois, specializing in residential storm and hail damage recovery. We have over a decade of experience serving homeowners in McHenry County, Lake County, DuPage County and Kane County. From our experience, we know that the insurance claim process can be a large burden. Alleviating that burden by working directly with your insurance provider allows us to get you the money you need for repairs without the hassle and headaches. From the minute you contact Green Renovations up until the moment of job completion, we handle every aspect of your hail damage repairs. We pride ourselves on communication, customer service, and craftsmanship. Green Renovations knows how important communication is throughout the construction process. Communication is our number one priority. After working in the industry for so many years, we believe that open and honest communication is conducive to a smooth process and a satisfied customer. To facilitate customer satisfaction, we always have a field manager at the property over-seeing each project. This ensures that the homeowner has someone they are familiar with - and that the crews know the exact project specifications. Service and satisfaction is of paramount importance to Green Renovations. Should there ever be any issue or concern with a project, our service department is here for instant and knowledgeable support. This is just one of the many factors that sets us apart in our industry - any and all issues will be resolved in a timely fashion, to the utmost satisfaction of the customer. Guaranteed. I was born and raised in Waukesha, WI. I graduated Waukesha South in 1991 and Carroll University in 1996. While I was at Carroll I had an internship at State Farm Insurance. Upon graduating Carroll I started working for an independent claim handling firm that had a contract to handle State Farm claims. Over the next 10 years I worked exclusively for that firm and State Farm. I handled every imaginable type of claim, primarily property damage in nature. Typically we worked 6-9 months of the year. When I wasn't working claims I renovated houses and completed restoration work though a network of friends and family. As contracts and relationships change so did I. I became a true independent adjuster and worked for a variety of vendors who had contracts with insurance carriers. Over the next 6-7 years I worked for approximately 10-15 different carriers, including but not limited to the following: Nationwide, AAA, Auto Owners, Germantown Mutual, Farmers, Allstate, Homesite, and many more. I traveled the US and worked every major hurricane since 1996. That experience gave me the ability to work with a wide variety of people, managers, policies, etc. All insurance companies are not the same. Many have different interpretations of essentially the same policy. During my 20 year career I was involved in over 12,000 individual claims. That experience gives me some great insight that most contractors are just not able to offer. Since 2013 I have been serving the public (you) instead of the insurance carriers. I've been putting my knowledge and unique skill set to work for the homeowners. Insurance claims can become long and drawn out battles designed to wear you down. Don't let that happen to you. I'm equipped to fight the carriers. I first try using reason while meticulously documenting the loss. If that doesn't work there are policy provisions that can be evoked to resolve disputes. I'm an expert at these provisions and the policy, and use that to get the results we are looking for. Please call today for a free consultation regarding any property claim. I look forward to putting my expertise to work for you! BCI has been one of the leading exterior service contractors for southeastern Wisconsin to homeowners and builders alike. With the help of our satisfied customers, we have grown consistently for the last 39 years. Located in Menomonee Falls, Wisconsin, our headquarters spans 10,000 square feet which includes our offices, warehouse, and our 23 service and installation vehicles. We also have a complete sheet metal fabrication shop where we have the ability to design and fabricate custom gutters, downspouts, standing seam roofs, flashings, and other metal fixtures for any project all in-house. Our greatest asset here at BCI Exteriors is our hardworking and talented staff of 50 employees. We pride ourselves on our craftmanship and our ability to help solve the most difficult improvement issues to ensure our customers are happy at the end of the day. To keep up with industry trends, we continuously train on the latest installation protocols, products, and certification programs to ensure projects are done efficiently and properly. We also partner with the top manufacturers in the industry, so we can offer customers the best quality materials and manufacturers’ warranties. We are committed to our customers. At BCI Exteriors, our goal is to give quality exterior services at the best possible value for our customers investment. Style By Carden Exteriors Inc. Style Exteriors was founded in 2003 as a full service roofing and siding contractor in Illinois and Wisconsin. Our mission is to provide quality home improvement services while always maintaining integrity and the highest standards of customer service. We provide roof repair, roof replacement, siding installation, replacement windows, storm damage evaluation, and gutter installs. We offer a complete range of exterior services to improve your home's durability, function, and appearance. We always take the time to work with you to develop a custom plan that suits your needs. No matter what exterior home improvement project you want to begin, Style by Carden Exteriors is here to help. PM Construction has been installing roofs and pouring concrete in the Milwaukee area for many years. Our focus on delivering exactly what our clients need is our goal with every project. We feel that our work can help make a profound effect on people's lives by helping their house become a better home. Learn why homeowners all over Wisconsin choose PM Construction for there roofing and concrete needs. Trademark Restoration is a General Contractor that specializes in Insurance Restoration. Our area of expertise is the exterior of your home or business. Allrite Home & Remodeling is an Award Winning 45 year old family owned business with a highly trained and skilled team. Through our dedication to continuing education, 11 point home improvement process and extensive product offerings, we are the customer advocate not just sales people. At Allrite Home & Remodeling we provide award-winning service. Our professional crews specialize in replacing siding, roofing, windows, door and gutters. Each member of our team is a master of his or her specific crafts, rather than jack-of-all-trades. We have been renovating the exterior of homes and condominiums in metropolitan Milwaukee since 1969! What do roofing companies in Muskego, WI do? Your Muskego, WI roofing contractor can install a new roof or repair an old one, as well as repair and replace gutters. Good roofers in Muskego, WI should be able to promptly inspect roofs and gutters to assess damage after a natural disaster or other event, and give you an estimate for the necessary roof repair immediately. Some Muskego roofing companies specialize in specific types of roofs, such as tile or metal, so make sure the one you are interested in works with the materials you have or desire. Find a Muskego roofer on Houzz. Narrow your search in the Professionals section of the website to roofing companies in Muskego, WI. If you’re planning a large-scale project, find other professionals on Houzz who can help get the job done. Here are some related professionals and vendors to complement the work of roofing & gutters: General Contractors, Specialty Contractors, Siding & Exteriors, Door Sales & Installation, Garage Door Sales & Installation.